The photo id for this photograph is 48, in the Trains and Railway Lines album. This picture was taken at the far end of Shallcross goods, at the foot of Shallcross incline. As the cable is plainly visible in the foreground, this photograph will have been taken before 1892 when the Shallcross-Ladmanlow section of the Cromford & High Peak railway was abandoned. 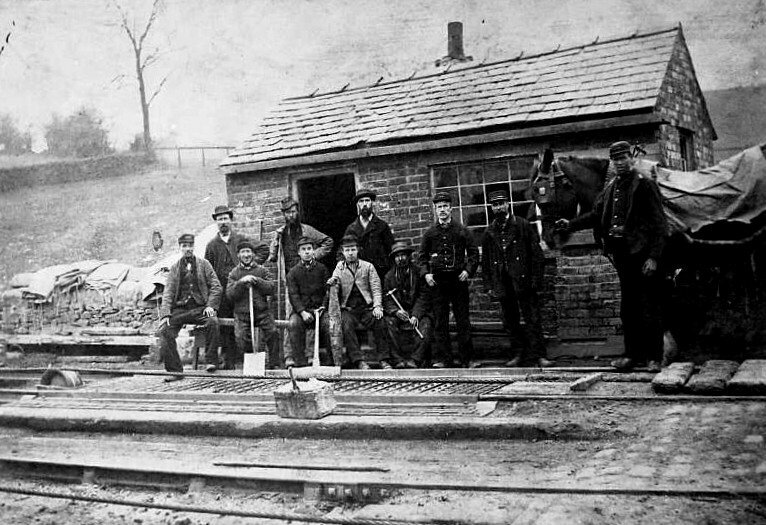 An interesting assortment of workmen on it, apart from the horse men, there will be the weighbridge man, and others associated with attaching and detaching wagons from the cable for movements down or up the incline.